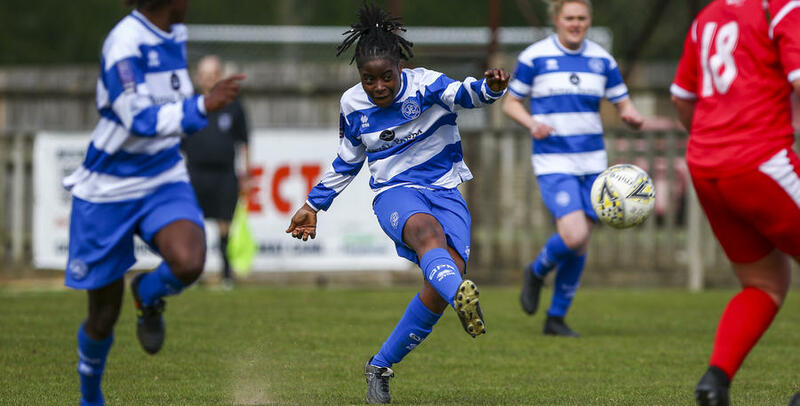 QPR Women ‘put everything together’ to come back from 1-0 down to claim their first victory of the season against CK Basildon in The FA Women’s National League on Sunday Afternoon. 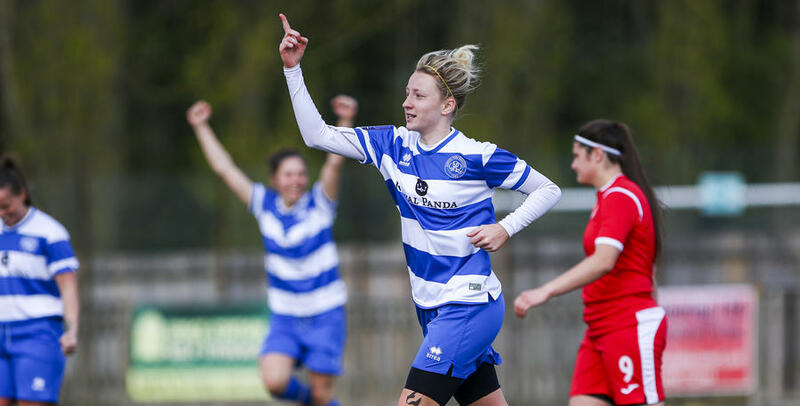 Jo Wilson’s superb hat-trick and Sue Kumaning’s long range strike ensured the R’s overcame a one goal deficit and claimed an important three points in a game which Martino Chevannes’ side eventually got the rewards their performance deserved. Rangers got off to the worst possible start with Holly Turner pouncing on a defensive error from the R’s backline and slotting home, giving the visitors an early lead. Despite the damaging start Chevannes’ side eventually grew into the game, with Wilson having a shout for a penalty waved away by the referee as she latched onto Courtnay Ward-Chambers’ through ball, with the goalkeeper Charlotte Bolland bringing her down. With Rangers in the ascendancy, in the 37th minute the R’s finally were rewarded as Wilson again latched onto a wonderful through ball before rounding Bolland and slotting home for her first of the afternoon. On the stroke of half time Rangers finished the half a lot stronger than they had started it, with Kesha Petit and Kumaning all having efforts to give the home side the lead. Following the break Chevannes’ side continued to threaten with Ward-Chambers and the troubling Wilson both seeing their attempts on goal cleared. In the 51st minute Wilson picked the ball up on the edge of the Basildon box, before unleashing a fantastic effort which flew past the helpless Bolland, giving Rangers a deserved lead. In-form Wilson continued to trouble the visitors defence, with her solo mazy runs causing havoc. With twenty minutes left to play Wilson capped off what was a fine afternoon with her hat-trick goal as she broke clear of the Basildon defence and calmly slotted home for Rangers’ third goal of the day. Ten minutes from time Kumaning put the icing on what was a fantastic Rangers performance, when her stunning effort dipped over Bolland in the visitors net to claim Rangers’ fourth of the afternoon. Chevannes’ side saw out the remaining few minutes, to claim their first win of the season with what was a fantastic team display. 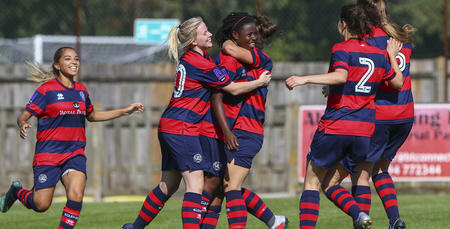 First team coach Miguel De’Souza shared his pride, telling www.qpr.co.uk: “The girls are buzzing, it’s something we have been waiting all season for and it has finally come which is a massive relief. 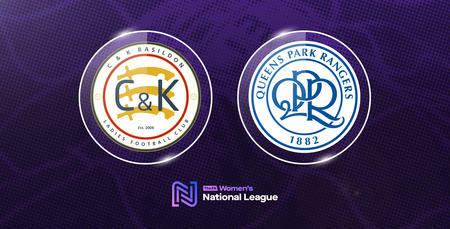 Chevannes’ side are back in action on Sunday 28th April when Rangers travel to Chichester City in the FA Women’s National League. 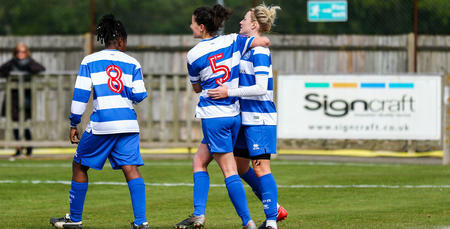 QPR Women: Kasirye, Kinnane, Anes, Bytyqi (Netschova 67), Jordinson, Grieve (Martins 73), Petit, Kumaning, Wilson, Puddefoot, Ward-Chambers (Knell 78). Goals: Wilson 37, 51, 72, Kumaning 82.